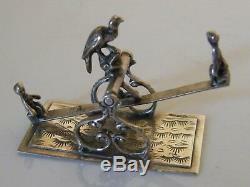 A SILVER DUTCH MINIATURE MODELLED AS CHILDREN PLAYING ON SEE-SAW WITH A BIRD MOUNTED IN CENTRE. 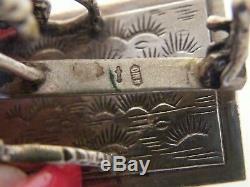 CM LONG X 2.5CM DEEP X 3.7CM HIGH. 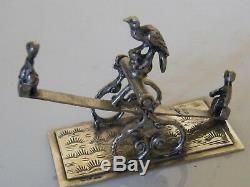 The item "SILVER DUTCH MINIATURE CHILDREN ON SEE-SAW" is in sale since Tuesday, September 18, 2018. 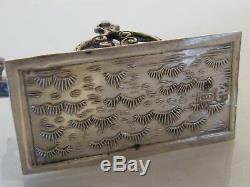 This item is in the category "Antiques\Silver\Sterling Silver (.miles" and is located in Wimborne.